It seems that if the pin’s default action was to close it would be really hard to actually use one because you’d have to keep it pried open to put it through the cloth. I’m having a little trouble accepting the statistic that that safety pins caused more deaths than guns. But he is a bachelor so I guess he’d know best. 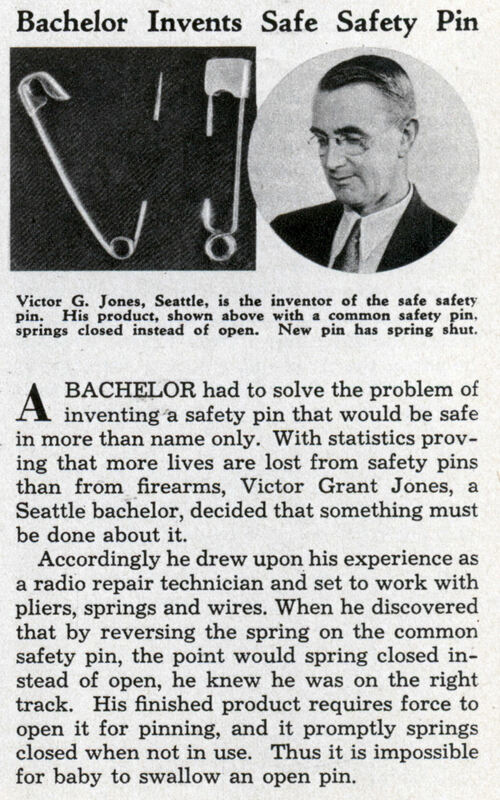 A BACHELOR had to solve the problem of inventing a safety pin that would be safe in more than name only. 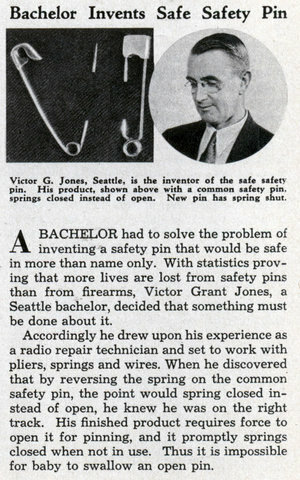 With statistics proving that more lives are lost from safety pins than from firearms, Victor Grant Jones, a Seattle bachelor, decided that something must be done about it. 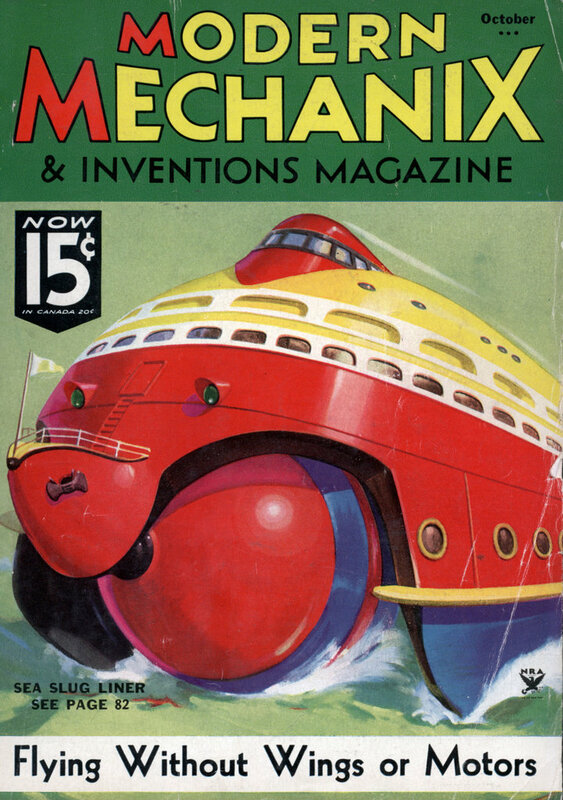 Accordingly he drew upon his experience as a radio repair technician and set to work with pliers, springs and wires. When he discovered that by reversing the spring on the common safety pin, the point would spring closed instead of open, he knew he was on the right track. His finished product requires force to open it for pinning, and it promptly springs closed when not in use. Thus it is impossible for baby to swallow an open pin. The gun/pin statistic is probably correct for that period in history. At that time, there were no disposable diapers; every baby had cloth diapers with safety pins. The sheer number of safety pins in use vs. firearms probably makes that statistic true. Though swallowing of pins was a risk, the risk of infection from pinpricks was probably far greater. The writer didn’t differentiate between causes of death, as long as the safety pin was the culprit. Isn’t that how Sid Vicious died? OD’d on safety pins? This is why I secure my son’s diapers with pistols and I keep a box of safety pins in the nightstand in case of intruders. Is…is this your first time on the internet? In the US today the Number 1 cause of death in children under 7 is the automobile and the number 2 cause is swimming pools. That’s why I avoid car pools, despite being over seven.